Plymouth County was first settled by the white man in 1856, invading the domain of the Sioux Indian Tribe. The county of Plymouth was organized in 1853, and started with two civil townships. The county now has 24 townships and covers 865 square miles. The first courthouse was erected at Melborne in October of 1859, at a cost of $2000. The first public school was taught in Melborne in December 1859. The records show the school fund for the year 1861 was $470.00 and the number of students registered was 32. In 1869, the town of LeMars was platted and after a close vote, the county seat was moved there in 1872.The new town was named by using the initial letters of the Christian names of the ladies who visited the new town site with an official of the railroad. In 1873, $3000 was approved by the voters to build a courthouse and jail on Block 35 in LeMars. This is the present day location of the courthouse. The land was donated by the Sioux City and Iowa Falls Town Lot and Land Company. 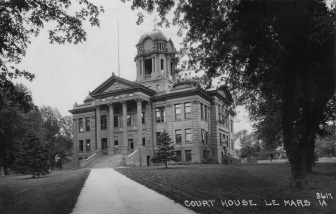 The present red sandstone courthouse was erected in 1900, after the election of a bond issue for $72,000. Grade school was held in LeMars as early as 1874. During the Depression of 1929, many Plymouth County farmers joined an organization calling itself the “Farmers Holiday Group”. Their goal was to keep farm products off the market until the desired price was met. A group of the Farm Holiday men dragged Judge Bradley from the courtroom at LeMars and threatened to hang him on the courthouse grounds. 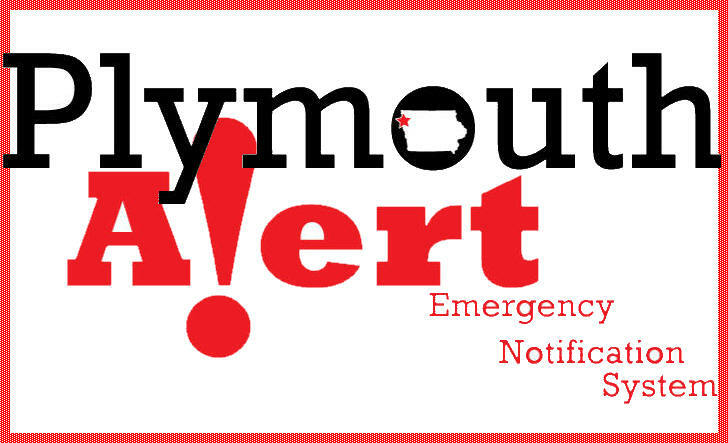 He was freed, but the governor ordered out the National Guard and Plymouth County was placed under martial law. The county is chiefly an agricultural county and its largest city is LeMars with a population of approximately 9435. The highest point in the county is in Sioux Township and has an elevation of 1501 feet. The average rainfall over a period of forty years has been between 26 and 28 inches, while the average temperature of the area is 52 degrees.